Heroic whistleblower to some, traitor to others, Pfc Bradley Manning created a media firestorm in 2010 with the release of reams of classified information through Wikileaks. This weekend, Inis Nua Theatre Company opens Tim Price’s THE RADICALISATION OF BRADLEY MANNING, which explores the imagined inner life of the young soldier, now known as Chelsea Manning. We asked the actors in this challenging production—who at one point in the play ALL play Manning—Who is Bradley Manning to you? What does this play mean to you? What are we trying to do with this production? 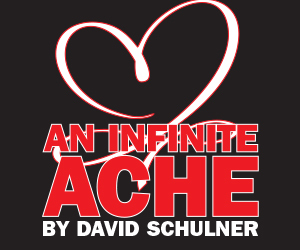 [The Proscenium Theatre @ The Drake, 203 South Hicks Street] April 27-May 15, 2016; inisnuatheatre.org. I wish the play could evolve with us and with Chelsea as her story unfolds. It feels like our work is not quite done, but that we’ve opened the door for more questions to be asked. Moving through this work together, we have always been vigilant that we are portraying and speaking about a living, breathing person. As the play was written before her transition, we have attempted to honor Chelsea as we know her now in any small way, making this a truly unique process. This play, much like Chelsea’s life, is an exercise in bravery. The bravery to trust yourself, to fight for something, and be who you are. This is a story worth telling. One of the most exciting elements of being a part of this play has been the opportunity to draw focus to Chelsea’s story. It is all too easy to forget about a story when it fades from the headlines, but Chelsea is a real woman really suffering undue punishment and harassment for what I personally consider a courageous act. Theater is uniquely poised to stir audiences to action through empathy, and I hope that this production encourages our audiences to question how and if justice is served. 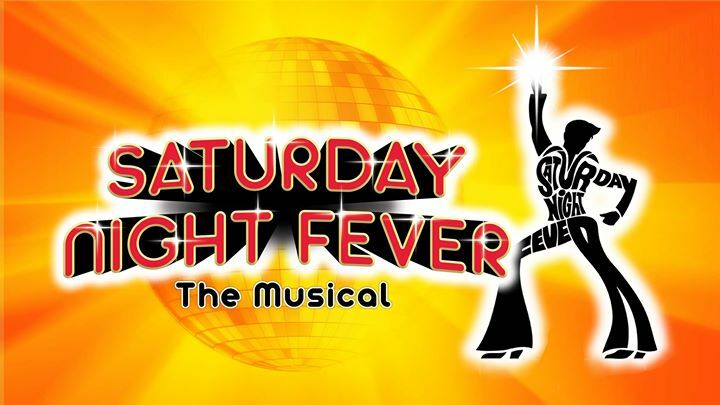 Working on this play has asked me to do and think about a number of things. 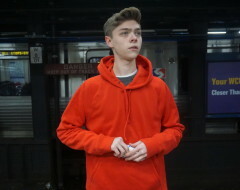 And the more time I spend with it, the more I find deeper connections that I easily could have overlooked. Concerns re: what the government and/or military keep hidden, what keeping secrets does and whom it serves, how we create an atmosphere and environment that pits ideas and ideologies against morality and human rights, in the name of what are we doing/allowing this?, and that at the center of this all, we see and ignored or forgot or overlooked an individual, one Chelsea Manning, that refused to be a part of it, that sounded the whistle loudly, with a goal of sharing information so that others might be informed and act accordingly. She recognized an inhuman practice and identified it as such to others. She is now being held, a prisoner, and denied several of the freedoms we enjoy. It’s difficult to hold that. 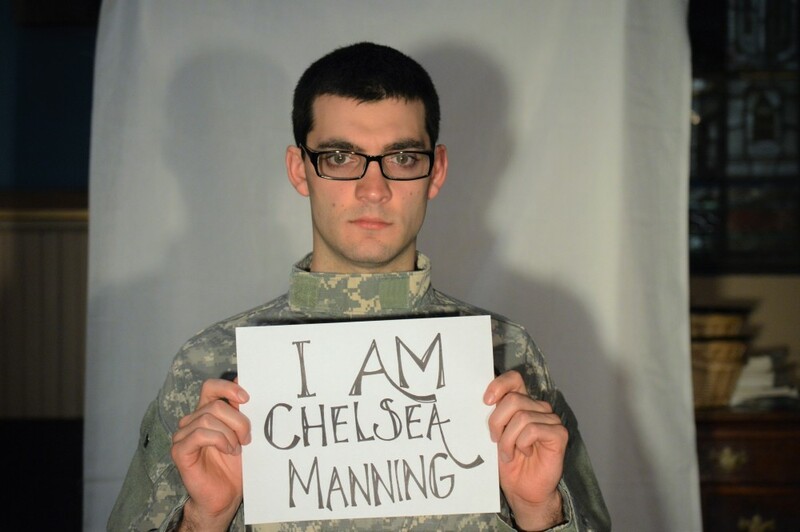 None of us are Chelsea manning. None of us know fully the torment, suffering and agony of Chelsea Manning, we are only vessels trying to decipher and reveal to the audience. What we’re trying to do is bring a megaphone to a story that most of America has quieted or forgotten. She is not fictional. She is real. She still wants freedom! 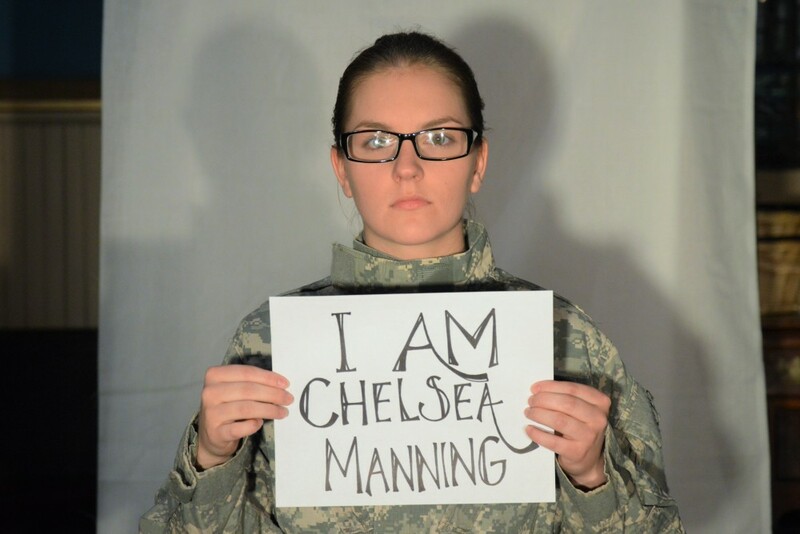 My hope is that Chelsea Mannings efforts, what she’s done for our country, our freedom, is not forgotten. 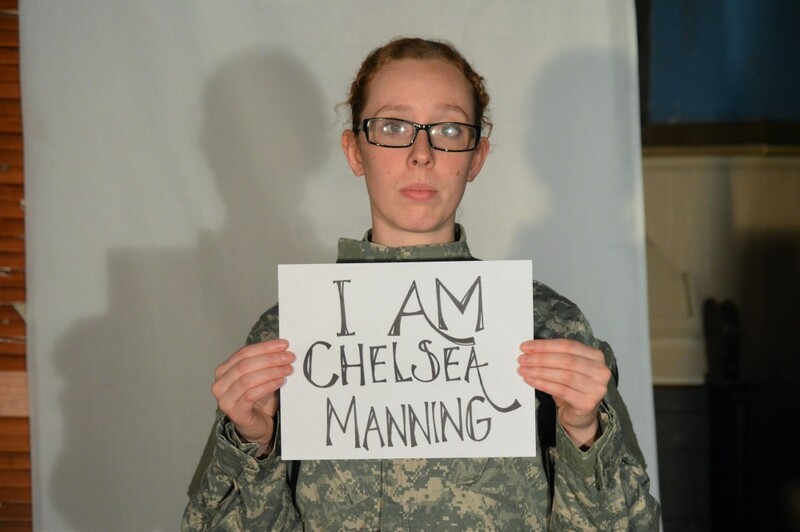 This play presents an important opportunity for those who never heard of Chelsea Manning to become informed. Maybe she’ll catch wind of our production, which in my eyes, is a “thank you” for all she’s sacrificed in the name of justice, truth, and transparency. Director Tom Reing added: I loved the power, insight and compassion of this play, especially the relevance ofManning’s time in Wales. It fascinated me that this all-American story had a facet that was totally unknown to me…and a facet that this Welsh playwright explored so beautifully. I saw this play two days before Pfc. Manning was sentenced to 35 years in military prison. 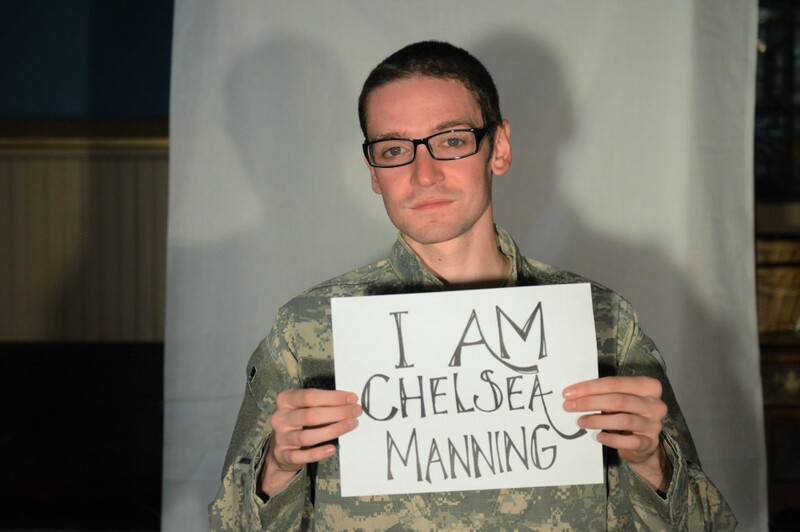 The next day Manning announced that he was transitioning and took the name Chelsea Manning. Traitor or whistleblower, Manning’s actions forced us to confront what was done in our country’s name. 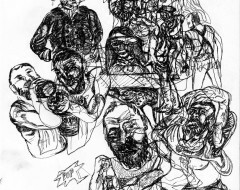 THE RADICALISATION OF BRADLEY MANNING runs until May 15, 2016. Tickets. I am a transgender woman, and an active-duty US Army Soldier. I get comparisons every day between she and I. Every interaction with my fellow soldiers is tinged with the thought that I may in fact be some kind of traitor, just because I am transgender. We are mistrusted and degraded, because she is our spokeswoman, though we, the transgender military personnel who serve honorably every day, had no choice in the matter. She does not stand for us. 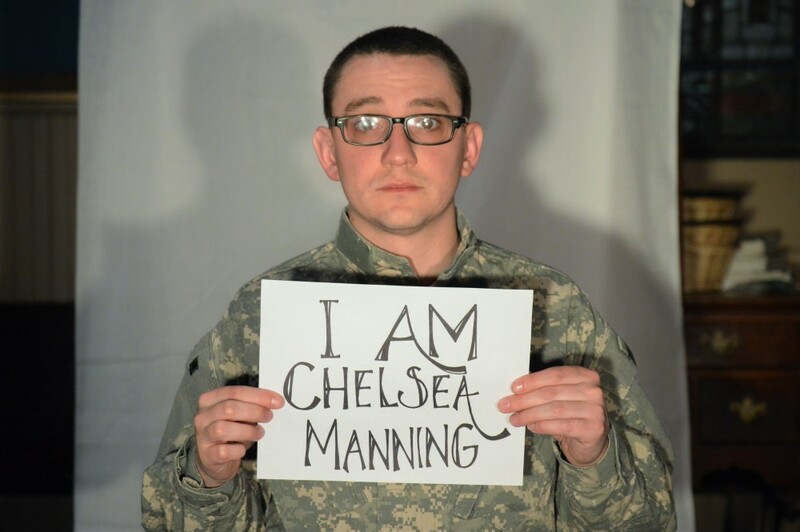 I AM NOT CHELSEA MANNING. I’m also a transgender woman who served 12 years of active duty honorably. Chelsea Manning does not represent me and is not a hero. She is a traitor, coward & and inmate… nothing more! She gets zero respect or sympathy from me! 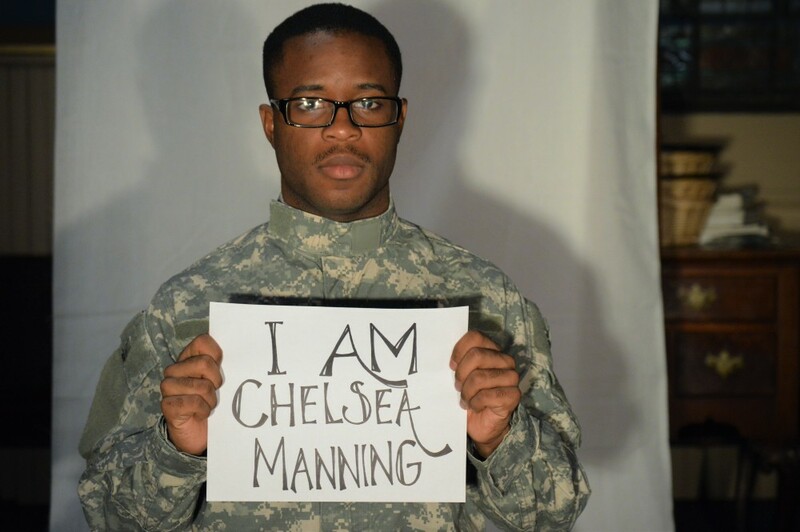 No, Manning was an unfit soldier from the beginning and has been and will be more trouble than he is worth in any gender he cares to emulate – he is not a true reflection of any transgendered soldier. And not worthy of any further care and treatment of the rest of the Honorably Discharged because they were honorable soldiers.Don’t waste another cent on him as there are many fine vets who deserve more. No vet should ever use their gender assigned or not to advance their personal cause and the two vets that agreed and are transgendered – Thank you for your service.